Picking up with the Christmas Lush collection I have the Bubblebeard Bubble Bar (what a mouthful) to show you today. Cedarwood, sandalwood and tonka scented bath bubbles that are kind on your skin but tough on tidemarks. HOW TO USE - Take your moustache and swish it under a hot running tap, to fill your bathwater with scented bubbles. Then just pop your moustache on the side to use again. We can’t even remember why we chose to make a fusion of pirates and santa – but it is probably because we work on Christmas products during the summer months in our lab right next to Poole Quay with the sound of gulls and a salty sea breeze drifting through our windows. But it’s all good, because it made us come up with this treasure chest of delights, that not only cleans, softens and fragrances your bathwater, but provides a spot of bath time fun too. So come on, no one can see you - whip up those bubbles in your bath and use the foam to build yourself a huge white beard, then simply hold your moustache on a stick under your nose and there you are; Father Christmas ahoy! 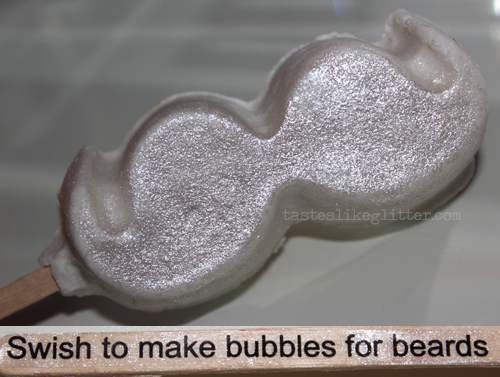 You’ll get more than one use out of Bubblebeard – dry it after using then smuggle it away to use again another day. If you are going to be singing The Trumpet Hornpipe in the bath – make sure you hit the High Cs! If you have a cabin boy in your life who likes to use Dirty Shaving Cream, this bubble bar shares that same fragrance – so buying him one of these would make him a Jolly Roger. 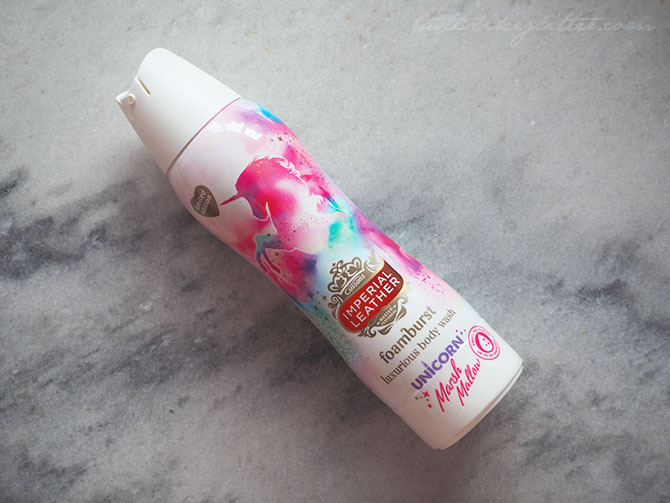 When first smelling this it instantly struck me as a somewhat masculine scent. Since this is the same scent as the Dirty Shaving Cream, that would explain it. The sandalwood oil and lavender absolute are the scents I pick up the most out of all of them. Considering the lavender is quit strong I suggest this for more as an evening relaxing bath. The bar is white with a silvery white shimmer overlay. If you're not a fan of the brightly coloured bath water, sequins and other frills Lush provide then this is for you. It's a simple bubble bar that provides lots of bubbles without the fuss. 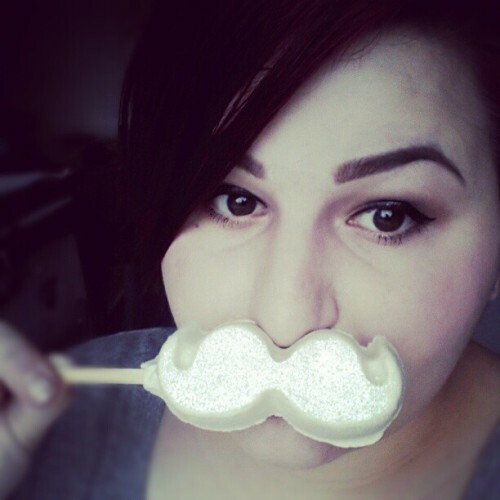 I love the bubble bars on a stick because they seem to last a lot longer than a regular bar as they have a harder formula. You just swish them in the bath and they provide lots of lovely bubbles. Definitely good value for money. On a side note, it can make for a humorous photo op!